Christmas is in full swing in Kansas City as the frantic last minute shopping begins, people are flying around recklessly in their vehicles trying to pick up the kids, get the groceries, plan the dinner, wrap up last minute business at the office, and CRAM it all in by Friday. We, here at Kansas City News, have been doing all of those things as well, but on Thursday night December 22nd, we are going to treat ourselves to a night of theatre, taking in Kansas City Repertory Theatre's production of "A Christmas Carol" at the Spencer Theatre. This revamped and modernized version of the classic play stars local veteran of the stage Gary Neal Johnson, who went to Center High School and performed in plays with other local Kansas City dance and acting standouts like Kathleen Bowen, who performed with the Betty Tilletson School of Dance, performing in shows at the Lyric Theatre among others. 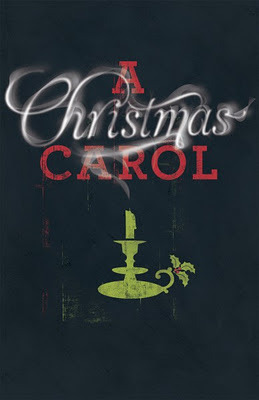 A Christmas Carol - A Special Performance, will run through December 26th, 2011 and tickets are still available for performances.